While engagement rings get all the attention and the sparkly diamonds, it’s your wedding ring that is most symbolic and will get the most wear. At the very least you will have to wear your wedding ring for the rest of your life, and you might even want to pass it on to your children and grandchildren! It is paramount that you find a ring that you will love for ever so check out our wedding ring guide. To help you in this decision, we have compiled a list of questions you may be pondering and our professional answers. By following our tips you will be sure to find wedding rings that are timeless and that you truly adore. Will the style go out of fashion? Naturally, styles change over time, as will your personal taste. 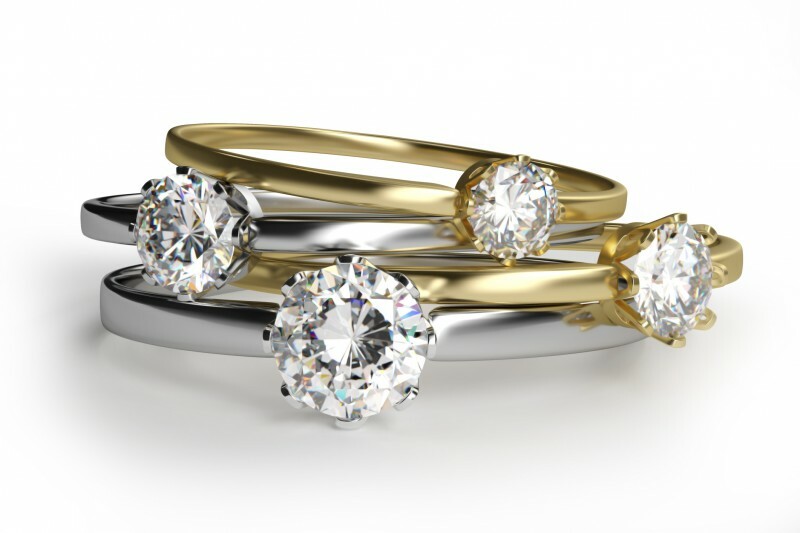 Luckily, gold rings can be remodelled beautifully into a new design should you decide on a change further down the line. Choosing something simple and timeless will reduce the risk of this happening. What types of gold and metals are available? Available for your perusal are 22 carat yellow gold, 18 carat yellow, rose and white gold, 14 carat yellow gold, 9 carat yellow, rose and white gold, platinum and titanium. It’s worth bearing in mind that many of these metals can be combined to create a unique design. Which is better 9 carat or 18 carat gold? Eighteen carat contains more gold and will be more yellow as a result. Nine carat has half the amount of gold and does tend to oxidise. Does 9 carat or 18 carat gold wear better? There’s no answer to this though it is not recommended to have 18 carat next to 9 carat due to the risk of the harder 9 carat wearing away the 18 carat gold. If you have two rings of the same carat next to each other there is no difference in wear. What colour gold suits me? As a rule, some types of gold do look better on certain skin tones. If you have olive skin, it may be best to try yellow or white gold, those with fair skin should stick to white gold with the option of yellow highlights while red heads do tend to select either rose or white gold. What is my finger size and does it change? To find out your finger size, simply head into your nearest jewellers. Yes, some people’s size can vary when too hot, too cold or even during pregnancy. You should always take into account the width of your band when measuring your finger size. What size and type of band should I choose? The types of band include flat, round, and bevel. The style you choose will depend entirely on which one you like and what will suit your hand. Most people choose a fairly slim band for their wedding ring but if you prefer chunkier jewellery you might look for something wider. How will the wedding ring fit with the engagement ring? The wedding ring should be a tight fit and without movement in order to minimise wear. Naturally, your wedding ring should complement your engagement ring, highlighting the features that first attracted you or your fiancé.